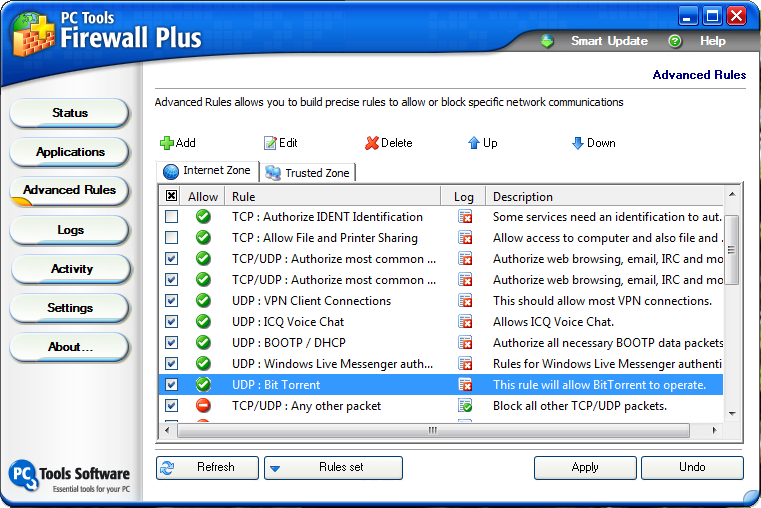 PC Tools Firewall Plus is a powerful personal firewall for Windows that protects your computer from intruders and controls the network traffic in and out of your PC. 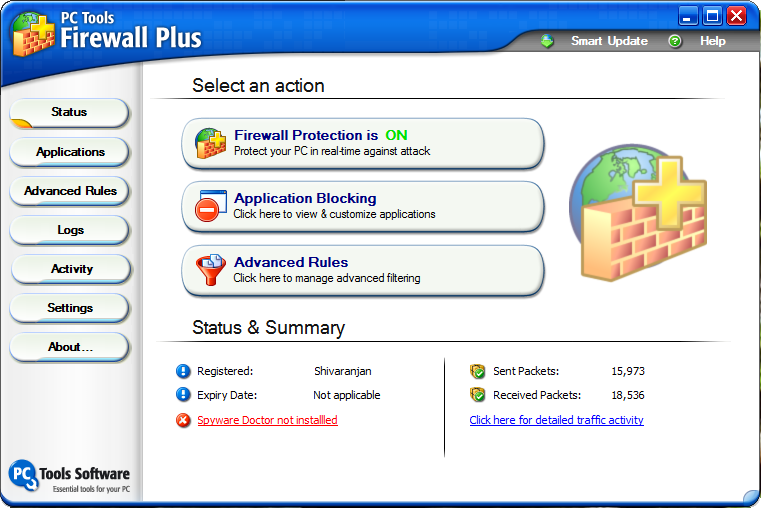 This firewall software is compatible with Windows Vista 32-bit, XP, 2000 and Server 2003. 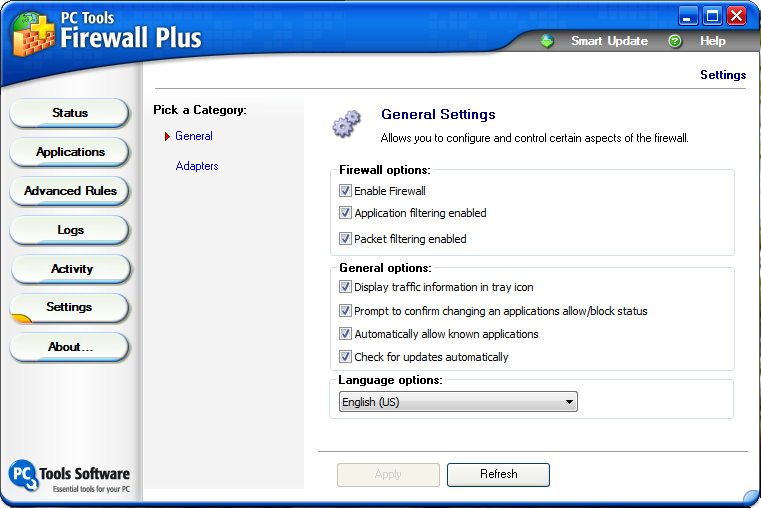 This is one of the few firewalls that is compatible with Windows Vista. 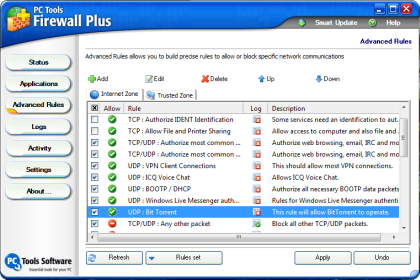 Advanced packet filtering rules and you can create your own packet filtering rules. 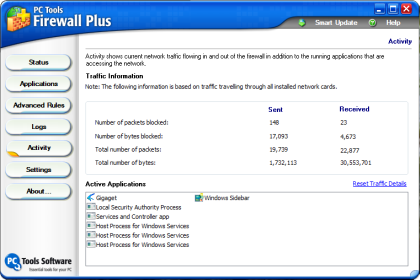 Real-time protection and comprehensive network shielding. 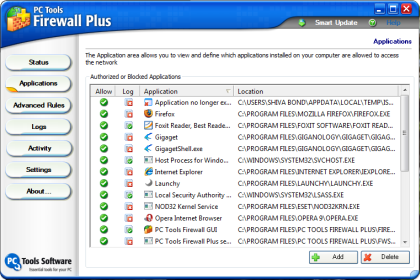 To get your free copy all you need to do is go here and enter your name and e-mail address, within few minutes you will get your registration code. 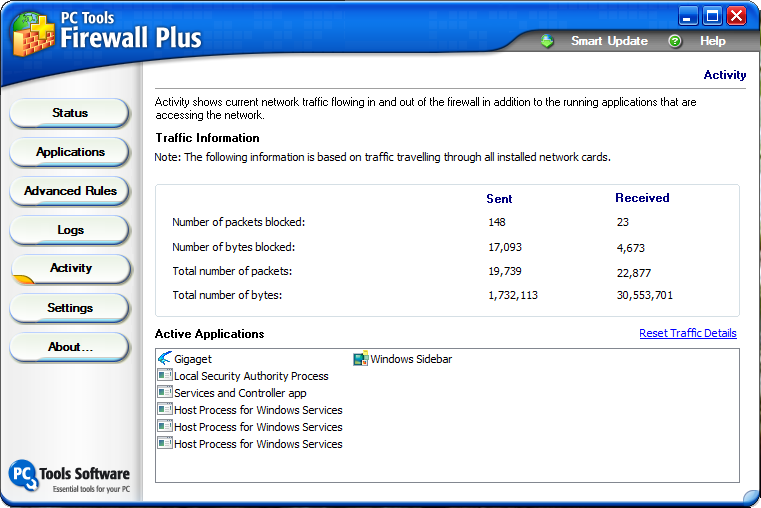 I was using Kerio Personal firewall in Windows XP and was very much used to the advanced functionalities it offers. When I started using Vista the only firewall that I could use was the built in firewall and I did not like it much as it lacked features. 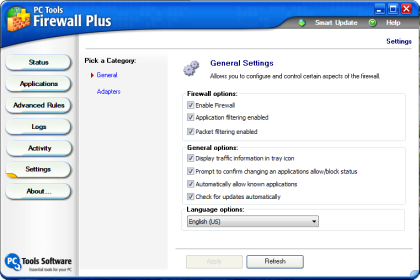 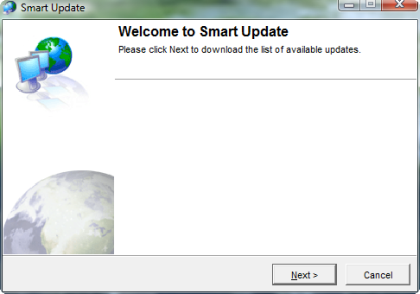 This free firewall is for all who those want advanced firewall functionalities to use in Windows Vista. 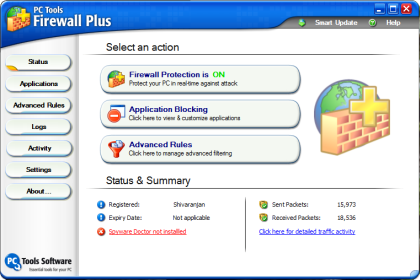 I would recommend this firewall to Windows XP users as well.